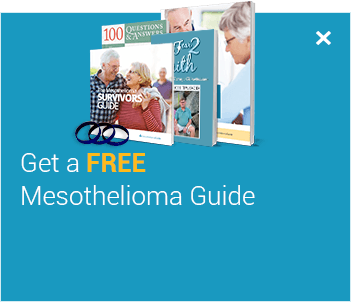 We offer a variety of free resources including our Mesothelioma Guide, Doctor Match program, and Mesothelioma Wristbands to show support for a cure. After a patient is diagnosed with mesothelioma, their life changes. 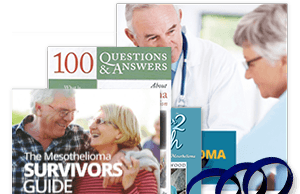 We at Mesothelioma Guide provide many different resources that can help patients and their loved ones better understand this devastating disease. 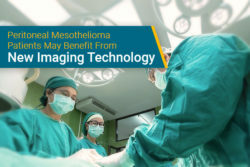 These resources can be used to help spread the word about mesothelioma, as well as help those affected by this disease learn more about their options. 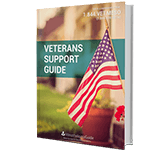 This guide includes hundreds of pages about mesothelioma. 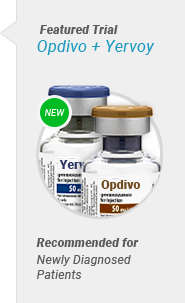 It includes information about diagnosis, treatment options, and prognosis. Our Doctor Match program allows us to put patients in touch with top mesothelioma specialists who can help in treating all types of mesothelioma. These free Mesothelioma Wristbands can help spread the word about the importance of finding a cure for mesothelioma. 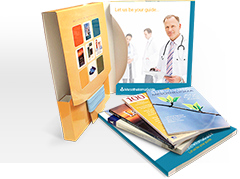 This collection of medical information guides patients through each and every step of fighting mesothelioma. Not only does the Mesothelioma Guide give the facts about the disease. Patrick’s mother was just diagnosed with pleural mesothelioma. Patrick has named himself her main caregiver, but he doesn’t know much about the disease and what to expect. Patrick finds our website and orders his free Mesothelioma Guide. 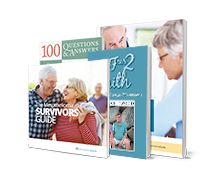 In the informational books, he is able to find the answers to most of his questions and becomes more knowledgeable about mesothelioma and the different treatment options and now knows what to expect as his mother begins her fight against this cancer. He is also able to get into contact with different doctors and centers that can help his mother, as well as support groups for both himself and his mom. Our Doctor Match program pairs patients with a mesothelioma specialist that meets their exact needs. All it takes is a little information about the patient and their diagnosis, and then we do all the work. We contact patients, discuss their current healthcare, where they live, and how we can serve them. Doctor Match is a great way to rely on a decade of excellence in providing the best care that patients can imagine. We reach out to the best mesothelioma specialists available, often by visiting, to ensure their quality, effectiveness, and availability. You provide us with your basic information and diagnosis. We connect you with a doctor specializing in your specific mesothelioma diagnosis. Kathy has just been told by her primary physician that she has Stage 2 peritoneal mesothelioma. Her doctor tells her she should make an appointment to meet with a specialist, but she doesn’t know where to begin. She spends countless hours searching through the phone book and she doesn’t have any luck. With just a few pieces of information about Kathy and her diagnosis, we can find a doctor for her who specializes in her specific type of mesothelioma. As we do the work of finding a doctor for Kathy, she can focus more on her recovery with one less thing to worry about. Stand together in the face of this illness with Mesothelioma Wristbands. It’s a great way to spread word about mesothelioma, raising awareness and hope for the innocent victims of this disease. Get your free Mesothelioma Wristbands right now, and show your support. Anthony just found out his best friend, Jack, has been diagnosed with pleural mesothelioma because of second hand exposure to asbestos. While visiting Jack in the hospital, Anthony sees a wristband on Jack’s mother’s wrists. 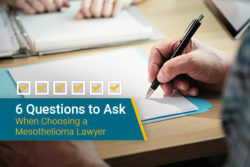 When he asks about it, she tells him about Mesothelioma Guide and the Mesothelioma Wristbands that they offer for free. Anthony orders his wristbands in order to show support for his best friend, but also to let others know about mesothelioma and what they can do to help.